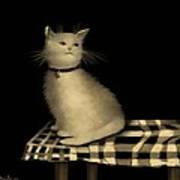 There are no comments for Cat On Checkered Tablecloth No. 1. Click here to post the first comment. "Cat on Checkered Tablecloth" The Medium I used for this painting is Pastels on paper. After uploading to my computer, I made slight changes in the hues. 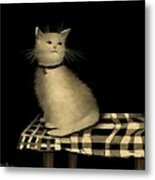 There are Four Images of my painting. This particular painting is a favorite of mine. The cat is my son's cat, named "Kitty"! Thank you for viewing my work!